This one has all of the ingredients to be an early-season cracker. Last season’s fifth and third placed sides, both of whom having undergone significant close season strengthening, will fight it out in the first competitive match on the new pitch at the Aspray Arena. Since Khalsa beat Highgate 3-1 in late April to extinguish the last embers of the visitors’ feint hopes of promotion, it’s been a time of some significant change at the Gate. The Solihull side appointed joint managers with Paul Smith joining in the summer alongside Ashley Pulisciano. Smith was, of course, the architect and engineer of Bromsgrove Sportings’ title win but departed the club three-quarters of the way through the championship-winning season. During the summer, Gate have recruited Nick Seabourne, Lei Brown, Sam Tye, Robbie Bunn, Sam Oji, McCauley Manning, Connor Deards and Curtis Reavan to strengthen an already robust squad. In their season opener, Highgate could only manage a goalless draw against Coventry Sphinx and will be hoping to get their first three points on the board against a Khalsa side likely to be back in amongst the chasing pack. 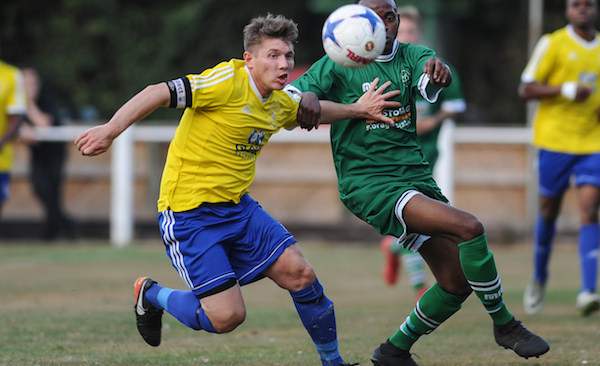 Khalsa, meanwhile, were held to a 1-1 draw at Long Eaton with new signing Lee Chilton equalising for Ian Rowe‘s side and Sam Arnold keeping out a second-half penalty. Kick off is 7.45pm. Admission is £5, £3 concessions and under 16s free. Food and drink will be in plentiful supply, the action will be fast and furious. If you need help finding us, help is here.